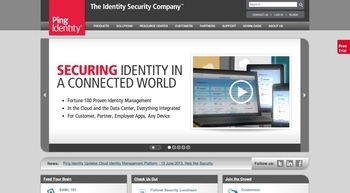 In the largest funding installment we’ve seen for a Finovate alumni this year, cloud identity management service Ping Identity pulled in $44 million in a Series F round, $29 million in equity and $15 million in debt according to Xconomy. The round was led by DFJ Growth and W Capital Partners– the latter will join Ping Identity’s board of directors. The debt financing was provided by Silicon Valley Bank. The company, which counts Boeing, BMW, and Chevron as clients, has received a total of $78 million in funding and plans to use this round to help it expand internationally. The Colorado-based company is considering filing for an IPO as early as 2014. To learn more about Ping Identity, watch its FinovateEurope 2012 demo.